A Scottsdale museum that recently was gifted a large collection of Hopi pottery will unveil it to the public next month. Western Spirit: Scottsdale's Museum of the West, located at 3830 N. Marshall Way in downtown Scottsdale, says more than 65 examples of Hopi pottery, spanning six centuries, will go on display Saturday, September 16, as "Canvas of Clay: Hopi Pottery Masterworks from the Allan and Judith Cooke Collection." Those pieces are about half of the total collection, which Dr. Allan Cooke, a professor of medicine at the University of Kansas, donated to the museum. 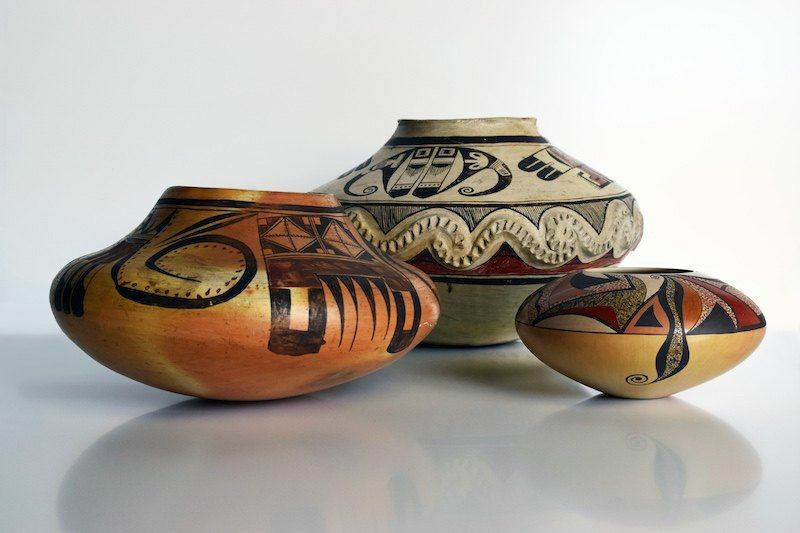 The museum says the collection includes early black-on-white ware; 14th through 16th century Sikyatki polychrome masterworks; and more fluid, artistic interpretations by 20th and 21st century Hopi potters. Among the pieces are 18 ceramics by Nampeyo of Hano (1860-1942), which Western Spirit calls "the most famous of the Hopi potters." Twenty-two other master potters, including Nampeyo's daughters and other descendants, are represented in the exhibition, the museum says. The exhibition will run through December 2019, and through December 2018, Native American visitors to the museum will receive free admission. For others, admission is $13 for adults and $11 for seniors and active military members. Western Spirit is open Tuesdays through Sundays, and operating hours vary by day. For more information, visit the museum's website. What are the chances that existing Hopi potters could find a place to display and potentially sell their works, along side the older pieces? As stated earlier, what are the chances that contemporary Hopi potters could display their works in the same area for display and potential sale?